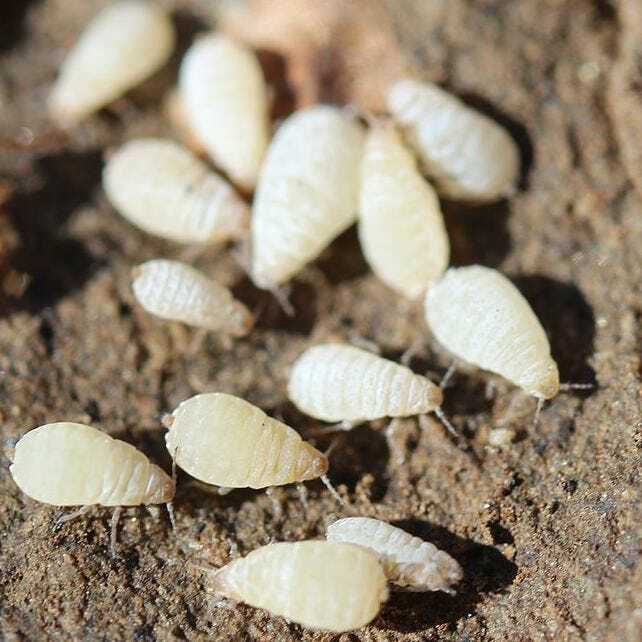 Root aphids have become a problem for indoor growers and farmers alike. Living unseen underground, their presence is often not discovered until their damage has been done. Root Aphids are a particularly troublesome and escalating problem for indoor growers as they can be hard to spot but usually stay at or above the soil line. 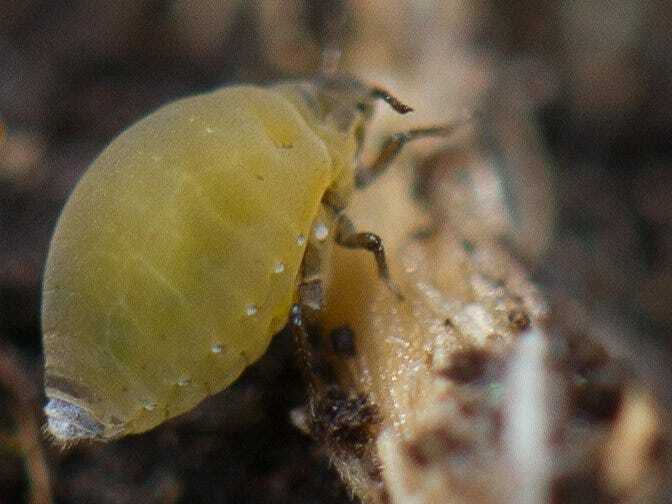 Juveniles and adults both tend to be under 0.5 millimeters in size with six legs they are squat, round and their pear-shaped bodies come in various colors including pink but are mainly white and brown colored to blend with roots and soil, growers will often spot the white, waxy material that the aphids secrete. Root aphids also have distinguishable “tailpipes” extending off their back-end which makes them more distinguishable from the similarly shaped mealybugs. Fortunately, they are easier to spot with hydroponics as their dark bodies contrast with the white roots, but unfortunately, they also spread more quickly as they can spread between plants through the recirculating hydroponics system. Resembling nutrient deficiencies, root aphids cause stunted growth and droopy or yellow leaves by sucking nutrients directly from the roots before the plant can use them. Once established they can be difficult to completely get rid of as they reproduce quickly.